Davies, R. 2014. The SADC EPA and beyond. GREAT insights Magazine, Volume 3, Issue 9. October/November 2014. After ten years of preparations and negotiations, the Economic Partnership Agreement (EPA) between the Southern African Development Community (SADC) EPA Group and the European Union (EU) was finally ‘initialed’ by our Chief Negotiators on 15th July 2014 in Pretoria. The initialing of the Agreement signals that the negotiations are concluded. The timing is significant because it pre-empts the 1st October 2014 deadline imposed by the EU after which Botswana, Namibia and Swaziland would have lost preferential access to the EU market for their exports of beef, fish and sugar, on which their economies depend heavily. The EU has assured us all that the act of initialing ensures that the current market access will continue until the agreement enters into force. 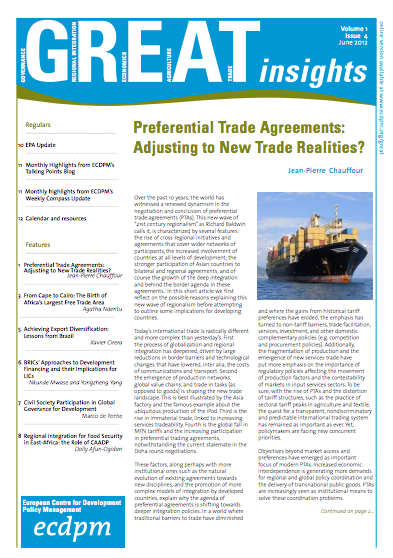 As is well known, the EPAs emerged as the EU’s proposal for a World Trade Organization (WTO)-compatible alternative to Cotonou preferences, which had been granted legal cover in the WTO through a waiver that expired at the end of 2007. Negotiations to establish EPAs with the EU commenced as far back as 2002. South Africa joined the SADC EPA Group in 2004 for two core reasons. First, our objective was to minimise, as far as possible, the threat of fragmentation to regional integration and development processes underway in Southern Africa. We were particularly concerned that the EPA would undermine the functioning of the more than 100 year-old Southern African Customs Union (SACU) between Botswana, Lesotho, Namibia, Swaziland and South Africa. Our decision to participate also followed requests from other countries in the Africa, Caribbean and Pacific (ACP), as well as the European Commission (EC) in 2002, to do so. Second, the negotiations offered an opportunity to improve South Africa’s agricultural exports to the EU for a more equitable exchange of preferences in our agricultural trade. Under the existing free trade agreement between South Africa and the European Union, the Trade, Development and Cooperation Agreement (TDCA), South Africa liberalised its agricultural markets more than the EU. We are satisfied that the EPA outcome achieves these objectives. It preserves SACU’s functional coherence, particularly in regard to maintaining the common external tariff, although the EU continues to provide the other members of the SADC EPA Group better access to its market than it offers South Africa. Nevertheless, the outcome marks an improvement for South Africa over the TDCA in important ways. South Africa has achieved improved market access for 32 agricultural products, with a significant improvement in our access to the EU market for wine, sugar and ethanol. There is also improved access for our exports of flowers, some dairy, fruit and fruit products. These tariff concessions go some way to re-balancing the TDCA in our favour. Furthermore, the EPA rules of origin improve on the TDCA as they will facilitate intra-regional trade and industrialisation across southern and eastern Africa in particular. The new rules also contain provisions that will encourage South African clothing exports. Several other restrictive trade rules under the TDCA have been eased under the EPA. 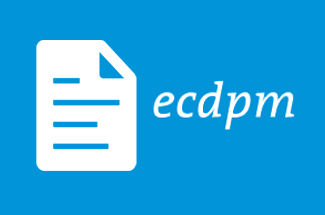 The EPA provides a degree of greater flexibility than the TDCA to deploy export taxes on eight products for a period of 12 years with some exception for exports to the EU. In addition, we obtained an agreement that the EU will eliminate export subsidies on agricultural goods destined to SACU, as well as more effective safeguards to address damaging surges of imports. 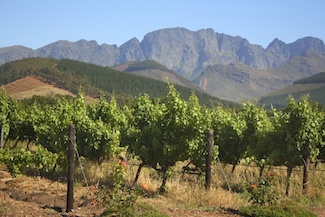 South Africa agreed to negotiate a Protocol on Geographical Indicators (GIs) because we have an interest in protecting the names of the many South African wines we export to the EU, and we have a growing interest to protect the names of specialised South African agricultural products (such as “rooibos”, “honeybush” and “karoo lamb”). The outcome of the GI negotiations will not affect the product names currently being used by producers in South Africa and importantly, for our stakeholders, we established a mechanism to address non-tariff barriers that inhibit trade in wine. We furthermore welcome the final agreement in the EPA to approach such new generation trade issues as government procurement and competition in terms that are cooperative and not legally binding. However, we are concerned that the ongoing negotiations on services and investment between the EC and some members of the SADC EPA Group, if concluded, will create a new generation of trade policy division in SADC and SACU. In terms of the process and timeframe for entry into force, the Agreement is now being subjected to a two-month legal vetting process. Thereafter, the Agreement can be presented to the South African Cabinet and, if approved, submitted to the South African Parliament for ratification. 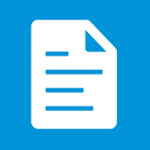 Once ratified, the Agreement may be signed, and it will enter into force once all parties have concluded their own respective national approval processes. The timeframe for this process is likely to be around eight months. South Africa’s relationship with the EU is wide, deep and strong and underpinned by a Strategic Partnership that was launched in 2007. The initialing of the SADC EPA marks a major new milestone in this evolving relationship with our largest trade and investment partner. We look forward to strengthening this relationship on the basis of the new Agreement and working with our European partners to support South Africa’s growth and development objectives, as outlined in our National Development Plan. Looking back on the past ten years, it is clear that concluding the EPA negotiations and ensuring a fairer ‘trade for development’ partnership was challenging. The issues under consideration were complex in political, economic and legal terms, and have serious implications for Africa’s development and integration prospects. Recent changes in the global economy have been accompanied by significant improvements in Africa’s economic prospects. 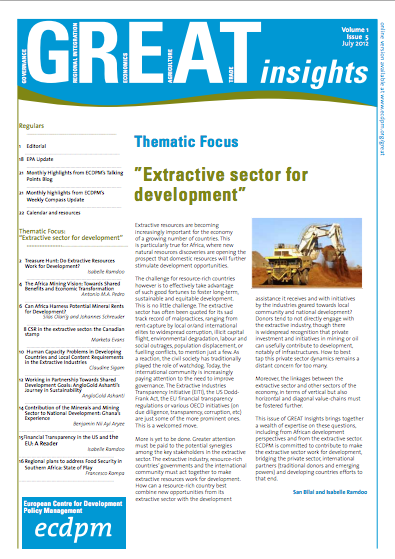 Africa’s overriding economic objective is, however, to move off its current growth path based on consumption and commodity exports to one of sustainable development using the continent’s natural resource base as a platform for diversification and industrialisation. African governments and leaders have committed to this transformation, which will require a range and mix of new policy measures including the possibility to utilise export taxes to support industrialisation. Our overriding concern remains that conclusion of the separate EPAs among different groupings of countries in Africa that do not correspond to existing regional arrangements will undermine Africa’s wider integration efforts. If left unaddressed, such an outcome will haunt Africa’s integration project for years to come. 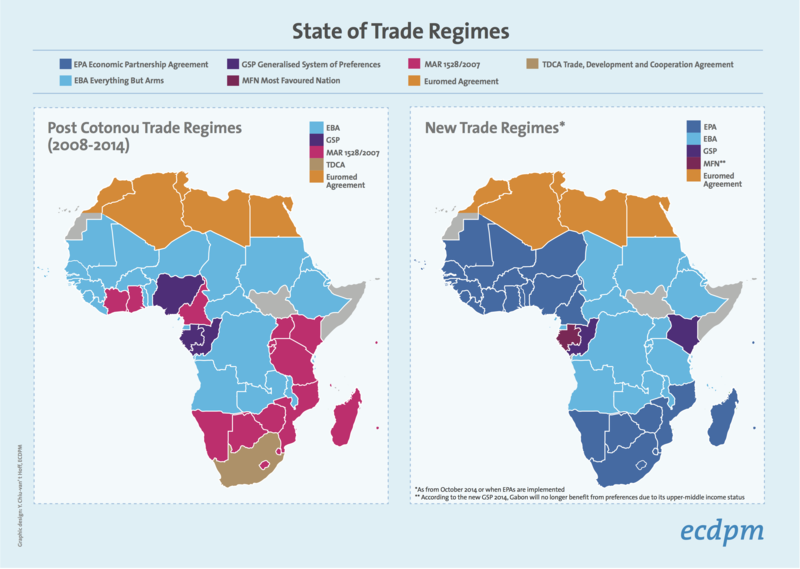 Different groups of countries in Africa are negotiating separate EPAs with different tariff phase down commitments, both in terms of products and time frames, different exclusions lists, different rules of origin, and all this will complicate intra-regional trade as new controls will be required at our borders. Different legal provisions (such as, for example, the MFN clause or export taxes) in the different EPAs will also complicate processes to forge common policy positions in the unfolding integration agenda in Africa. There may be ways to mitigate the risks to some extent. For example, it should be possible to build into the rules of origin cumulation provisions that will allow African countries to source inputs from each other for export to the EU under the various EPAs. Such provisions will encourage intra-African trade and industrialisation in Africa. The SADC EPA Group has proposed a ‘joint undertaking’ at the Africa and ACP levels, as well as with cooperation from the EU, to provide a legal basis for intra-EPA cumulation among ACP countries. It may also be necessary to establish a mechanism through which African governments reserve the right to address any impediment to Africa’s regional integration that arises from commitments undertaken in the EPAs. 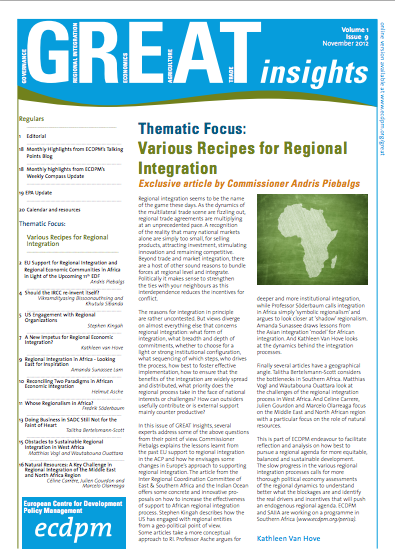 We believe this could assist in preserving the integrity of our commitment to regional integration in Africa. An effective mechanism in this respect would assist in ensuring that the EPAs better complement Africa’s integration agenda. Dr. 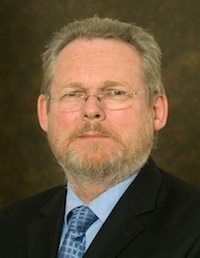 Rob Davies, MP, is the Minister of Trade and Industry of South Africa.